Thank you to all of our amazing alums who participated in our 20th Anniversary Recital Alumni Routine!! Lauren began dancing at the age of three and started taking classes with Broadway Bound in 5th grade. She joined the Senior Force Dance Company in 8th grade and performed and competed with The Force throughout high school. 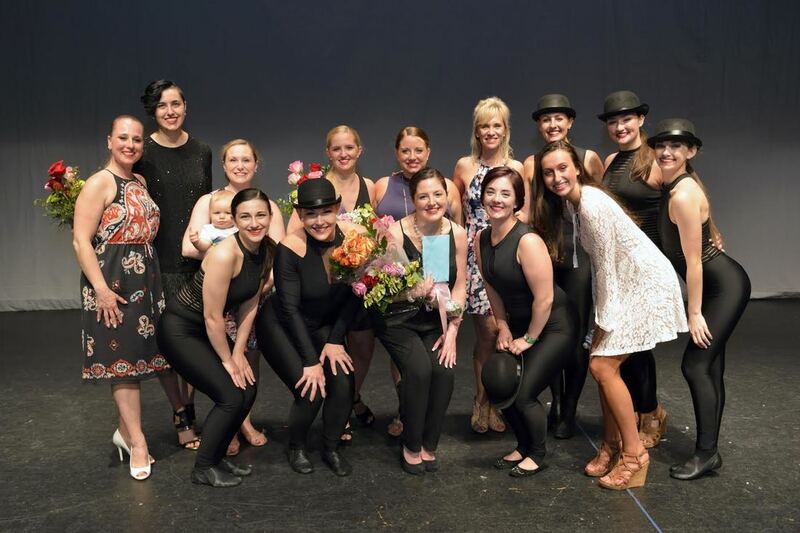 During her time at BBDC, Lauren taught classes, choreographed for the company, gave private lessons, and aided Ms. Lori with her “Creative Wings” special needs movement program. Outside of her BBDC home she took classes with the New Jersey Ballet and performed in their yearly production of The Nutcracker at the Paper Mill Playhouse. Lauren graduated from the University of Maryland in 2012 with a double-major in English and Government and Politics, and now works as a government contractor in Northern Virginia. During college, Lauren danced with UMD’s Unbound Dance Team and became a choreographer and the team’s Creative Director. In 2014 Lauren auditioned for Capitol Movement Inc, a non-profit professional dance company in Washington, DC. CMI dancers are actively engaged in their community and perform in showcases and special events, teach classes throughout the DC area, and participate in military appreciation tours. CMI recently sent Lauren on tour to the Kadena Air Force base in Okinawa, Japan to perform for the troops and their families overseas. Without her experiences at Broadway Bound Lauren would not be the creative and passionate dancer, choreographer, and performer that she is today. She hopes that all present and future BBDC dancers never underestimate how rewarding it can be to pursue their love of dance, no matter where life takes them! Attayah Douglas was a long time member of The Force Dance company and graduated in 2012. Attayah currently studies at Brown University, where she is a member of the Fusion Dance Company. For 34 years, Fusion has celebrated multi-cultural, multi-ethnic, and multi-style dancers and student choreography. Michelle began dancing at the age of three, began competing at five, and joined The Force Senior Dance Company at Broadway Bound at eight. In high school, Michelle was a member and choreographer of the Hunterdon Central Regional High School Dance Team. Along with dance, Michelle was very involved in theatre throughout adolescence, participating in the Flemington Raritan Community Theatre and choreographing the Reading Fleming Middle School / JP Case Middle School musicals. Michelle competed as a member of the “First Ladies” dance team at the George Washington University where she majored in International Economics in the University Honors Program. The “First Ladies” were ranked fourth in the nation in Division I at the Universal Dance Association Collegiate National Championship while Michelle was a member of team. Michelle also served as Vice-President of the ballet company "Balance." She choreographed and danced with the organization in the styles of ballet, jazz, and contemporary. During this time, she also worked as a staff instructor for the Universal Dance Association. Michelle has returned since high school graduation to choreograph for Broadway Bound's Force Dance Company. Her routines have earned multiple "Best Choreography" awards for The Force at regional competitions. In addition to choreographing, Michelle continues to dance in the DC area, where she now works full time in Sales Operations. Alicia began dancing at the age of five taking ballet and tap classes. When she was ten she joined The Force at Broadway Bound. Alicia was also a member and captain of the Lioness Dance Team at North Hunterdon High School for three years. 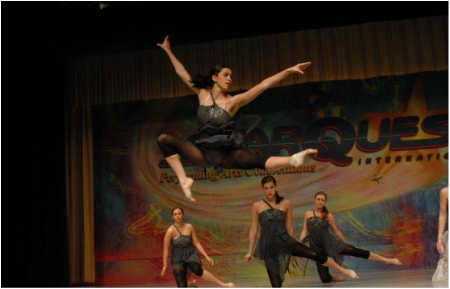 She continued to dance at BBDC and at North until graduating in 2011. 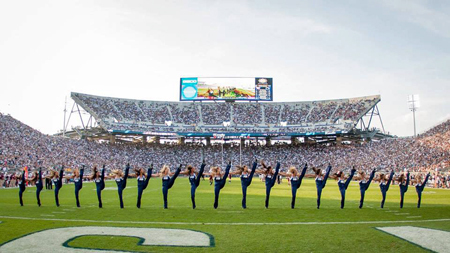 In college, Alicia was a member of the Penn State Lionettes Dance Team. The Lionettes are 3x National Dance Alliance Champions. As a Lionette, Alicia danced at over 100 performances per year including football and basketball games, pep rallies, the Homecoming Parade, and the PSU Dance MaraTHON. She was also invited to dance alongside the Lionette senior class at the PSU vs. UCF Croke Park Classic in Dublin Ireland. She was able to dance and cheer at multiple pep rallies throughout Dublin including the Guinness Storehouse, Grafton Street, and Temple Bar. Over the course of her time at PSU, Alicia used her title as a Lionette to give back to the community and act as a role model. She was the president of Penn State Athletes Take Action. This organization is comprised of 80 Penn State student-athletes who visit local middle schools to lead discussions about the dangers of bullying. Athletes Take Action has become a widespread movement gaining national recognition on ESPN. Alicia currently lives in New York City where she works as an Assistant Buyer at Ross Stores. Emily Yula began dancing at the age of three at the Broadway Bound Dance Center, then joined The Force in first grade and began competing. During her time at BBDC, Emily took on the role of an assistant teacher. By high school, she was an independent dance teacher and choreographed for the year-end recital. Emily was also a member of the Lioness Dance Team at North Hunterdon High School for all four years, was captain in her senior year, and was awarded with the Irons Award MVP. She continued her dance career at both BBDC and North until she graduated in 2013. Emily is currently a Junior at George Washington University majoring in Dance and Theater with a concentration in Costuming. Now studying Post Modern Dance she has been a part of the annual Danceworks performances for the program Fall and Spring semesters. Not only is she performing onstage but she also helps out with main stage productions working wardrobe and tech. She is currently a member of the Balance Ballet Group, performing in the Nutcracker in addition to the Spring shows each year consisting of contemporary and jazz. She looks forward to choreographing more dances in the future and working at the Kennedy Center before graduating. After graduating Emily hopes to join a company to continue her dancing or begin her stage work as a costumer and stylist. Nicole Farin began dancing at the age of 4 and enrolled at Broadway Bound Dance Center at the age of 9. She took a year of hip hop and jazz, and then became a member of The Force Dance Company. During Nicole's years at BBDC she taught pre-school dance and returned after high school graduation to choreograph for The Force. Nicole attended Boston University, where she was selected for one of six open spots on the Boston University Dance Team out of 70 auditioning dancers. The BU Dance Team dances at the men's and women's home basketball games and does various shows across the campus as well as tailgates and pep ralleys. The BU Dance Team is nationally ranked and won 12th in Division I at the NDA competition in Daytona Beach, Florida. Nicole loves the whole dancing experience, especially in front of an audience or crowd, and strongly encourages dancers to push themselves to their limits. She believes that there is no better feeling than performing in front of a crowd, and she would like to thank Broadway Bound Dance Center for pushing her and helping her reach her goals. Kelly began dancing at the age of five and enrolled in classes at Broadway Bound Dance Center in 5th grade. Kelly became a member of The Force Dance Company and competed in many competitions throughout the tri-state area. During high school Kelly cheered on the varsity cheerleading squad at North Hunterdon freshman year through senior year. When she was a captain her senior year, the squad won first place at the National Championship in Washington, D.C.
Kelly attended the Pennsylvania State University where she majored in Kinesiology. She tried out for the co-ed cheerleading team her freshman year, and out of 110 girls she was picked for one of the 28 spots. Her squad cheered for football games as well as the Men's and Women's basketball games. They also participated in pep rallies, parades, community service activities, charitable organizations' fundraisers, university president tailgates, hospital visits, and retirement homes. Kelly loved cheerleading in front of the 110,000 fans in Beaver Stadium, especially since Penn State was number one in the Big Ten Conference. Thanks to the excellent dance instructors at Broadway Bound Dance Center, she felt comfortable performing in front of all the spectators in the second largest Stadium in the country. Kelly encourages aspiring dancers to try hard when it comes to achieving their goals, because with hard work and dedication it can happen! Grace, a tap, hip hop, ballet, and modern graduate and also substitute teacher and birthday party planner from BBDC turns into a pro shot gunner in 2015 and remains today! Here she is featured in Clay Target Nation Magazine and on the Sportsman's Channel!